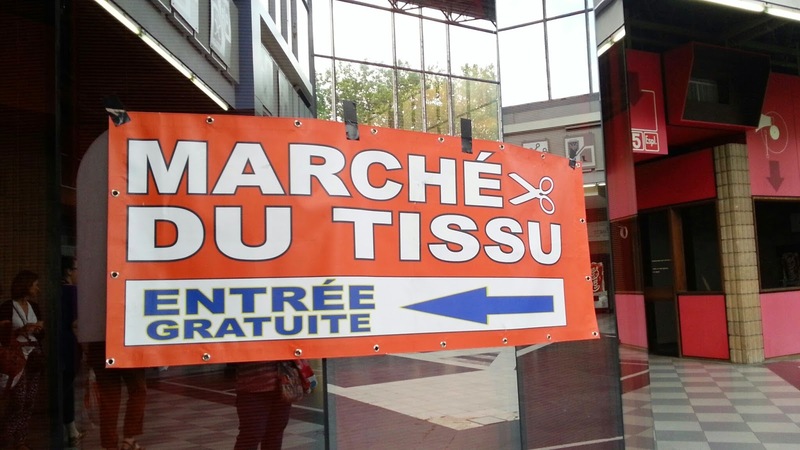 I will never get tired of going to Stoffenspektakel/Marché du Tissu or Fabric fair. Just recently I bought fabrics there at Halle des Foires, Liege. 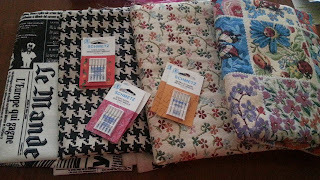 Hubby told me to only spend less €30 but since going to fabric fair is a paradise for me so I got tempted to buy much more. I always buy the usual stuff that I could not find in stores here. 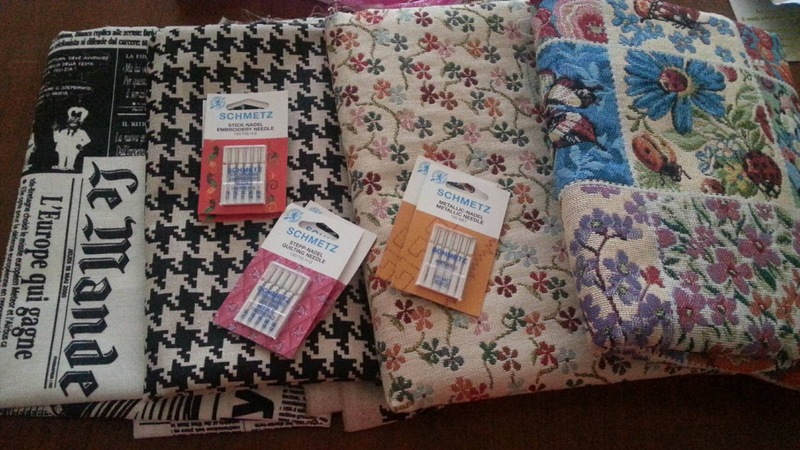 Bought some sewing machine needles -- embroidery, metallic and quilting needles and then 4 different fabrics 1 meter each, right now I already have an idea which bag pattern will I use it for.